Philipp Krennさんのツイート: "Elastic Stack 6.4.2 is out with a good bunch of fixes mostly in Elasticsearch. Release notes: * Elasticsearch: https://t.co/lM34p42cMw * Kibana: https://t.co/x3khbY31cF * Beats: https://t.co/nbIzivrMSk * Logstash: https://t.co/IVAsJftuCl * None for APM… https://t.co/zdAiOUQWXS"
GitHub - vktr/blaze: A blazing fast exporter for your Elasticsearch data. 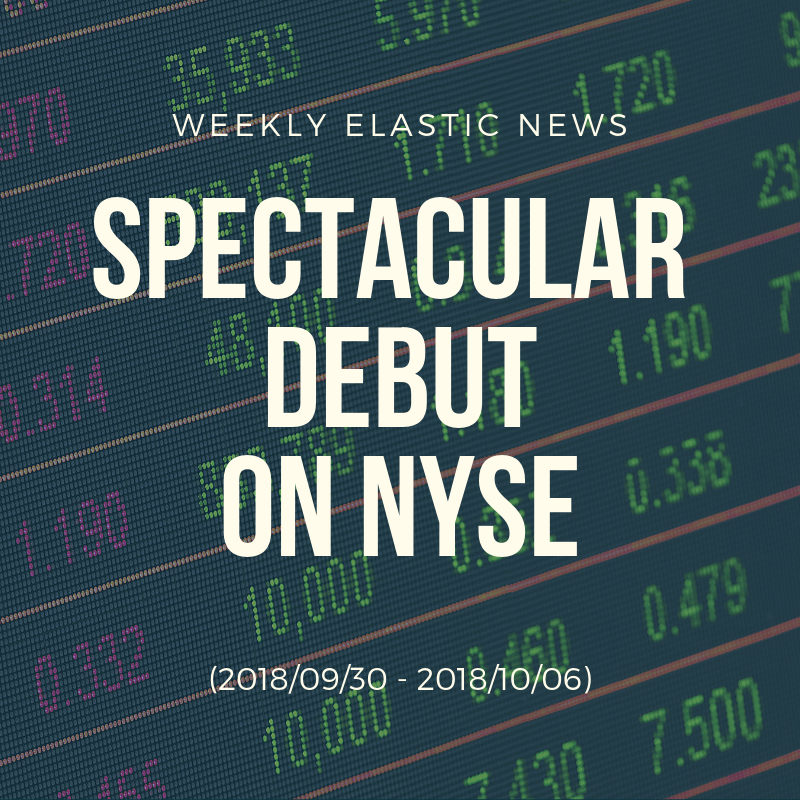 Nyse: "Congrats @elastic on their Initial Public Offering"
elasticさんのツイート: "Today was a grand day. Thank you to everyone for joining us on this journey. We look forward to what happens next. $ESTC #Elasticsearch #RingZeBell… https://t.co/YFxPcysFV3"